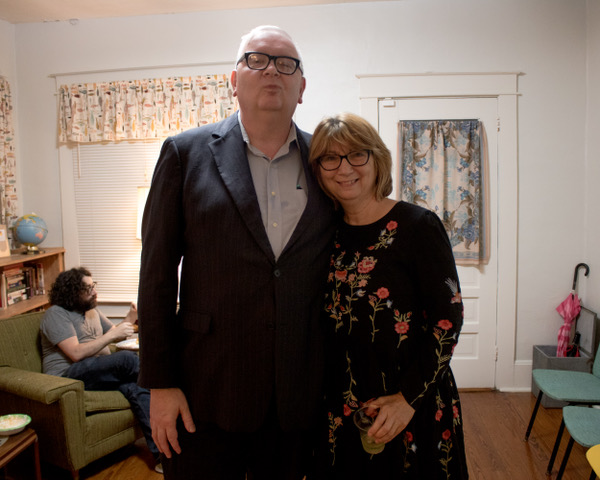 John King and Terry Ann Thaxton at Jack Kerouac's house in Orlando. Jared Silvia is saying something behind us. Photo by Katherine J. Parker.